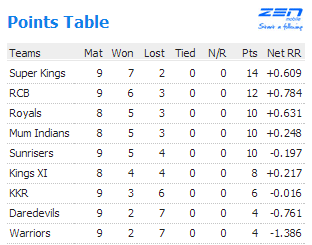 Just when everyone thought Pune are walking dead, when they stepped into Chepauk. Even Ross Taylor at toss said, we don’t have anything to loss. That’s the mind set which gave them the much needed or to say much deserved Victory in Lion’s den. Pune started off in a empathic fashion, not like their usual way, they loss wickets in heap, Finch scored a much need fifty, Steven smith who was warming the bench got a chance as Mathews was forcefully rested due to Srilankan ban in Chennai. Smith still remained in the form he left over from the last season where he scored 44 from 22 balls, today he scored 39 runs of 16 balls, who also reverse swept Chris Morris for a big six. 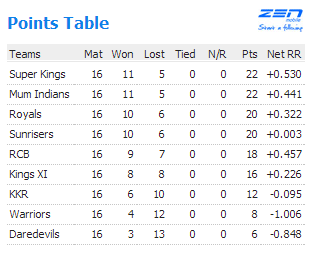 In the end Pune scored 159 runs in 20 overs. Chennai was a bit different side even after having 5 batsmen and 4 all rounders, CSK failed to accelerate at any point of the game, when ever they tried Wicket haunted back them. 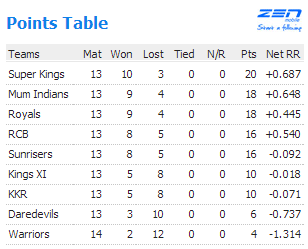 Which eventually meant Pune are back in winnings ways, Will it continue…? That’s the only big question…. – This is 15th time a match started off with a wicket Maiden. – Bhuvaneshwar Kumar bowled the 9th maiden of this season. – This is second time Anirutha srikanth has opened the innings and out for a duck. 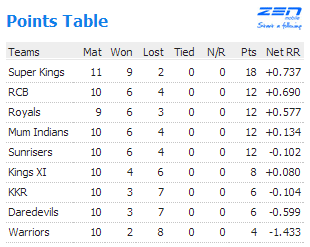 – 42 runs conceded by Dirk Nannes is the second highest in IPL career, highest is against KKR conceding 49 runs in 2009. – Steven smith in his 15 IPL innings has gone past 10 runs 14 occasions. 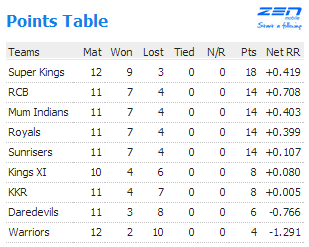 – 135 runs CSK is the fourth lowest total in IPL, and ironically all the other three times they have scored 112 runs. 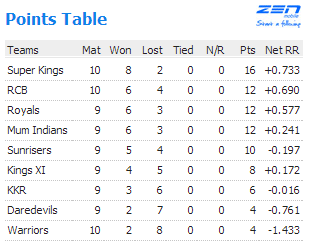 – 8-6 is the Win-Loss combination for CSK when they chase in Chepauk, not at their best. – A Loss by 24 runs is the third heaviest loss for CSK in terms of runs, on the contrary 24 runs victory is the second biggest win for Pune Warriors.